Samsung is all-in with Fortnite after partnering with Epic to launch the Galaxy Note 9 with a (brief) exclusive on the game. Buyers of the Note 9 and Tab S4 also get a custom character skin, and this is at the heart of Samsung's new contest. Posting a screenshot of your latest conquest can win you a ton of gaming gear or a chance to play a few rounds with noted Fortnite streamer Tyler “Ninja” Blevins. To enter, you need to have a Note 9 or Tab S4. 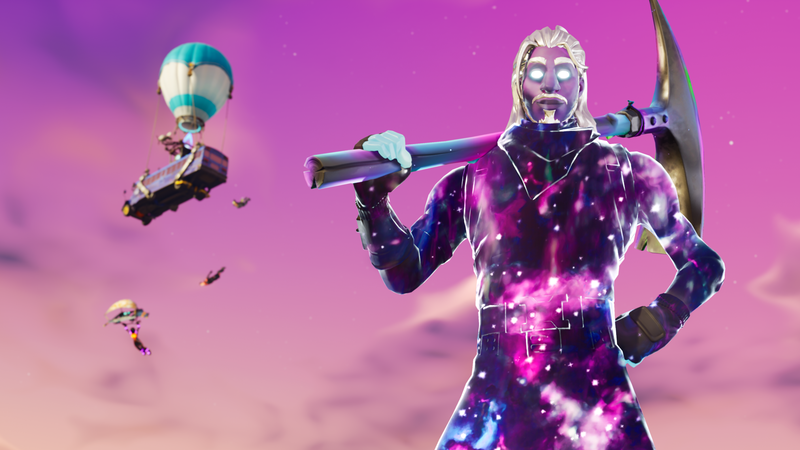 That's the only way you'll get the exclusive Galaxy skin, and that is required for the contest. Simply take a screenshot of your character with the Galaxy skin (see above) during a match and post it to Twitter or Instagram with the hashtags #NinjaGalaxySquad and #Contest. The grand prize winner gets to play with Ninja, and they go home with a "Cross-Platform Gamer Pack." That includes a 65-inch QLED Samsung TV, a 49-inch ultra-wide QLED Samsung gaming monitor, and AKG N700NC noise-canceling wireless headphones. Three runners-up will get the gaming pack only, and 100 others will get the headphones. The contest runs until the end of the month. Check out the full rules if you want to enter.